Water is the building block of life. Here in the United States, it’s easy to take water for granted — it just comes out of the faucet anytime you want it. Yet, all over the globe there are people who don’t have access to clean, safe drinking water. March 22 is World Water Day, a day dedicated to drawing attention to the water related issues that humans in almost every country. Created by the United Nations, the goal of World Water Day is to bring aide to people who truly need it across borders. The Water for Life Decade was launched, which aimed to give a higher profile to women’s participation and UN related water programs. World Water Day is held for the first time. Grab some friends and form your own water clean up crew. This may seem like a small and insignificant step, but litter and garbage are very hazardous to wildlife. Also, the small rivers and streams near you likely feed into a larger body of water. If you don’t pick up that discarded six pack ring, it could find its way into the ocean and become very bad news for a fish or seagull. It may not seem like you use a lot of water in your daily life, but you’d be surprised how much water it takes to perform household tasks. The average American shower uses about 17 gallons of water, while a single toilet flush uses a staggering 7 gallons. If you’re interested in decreasing your daily water usage, there are many products – such as low flow toilets and shower heads – that can help you do just that. If you want to see a grand and immediate impact, you could organize a charity event. All over the world, communities hold events for World Water Day. 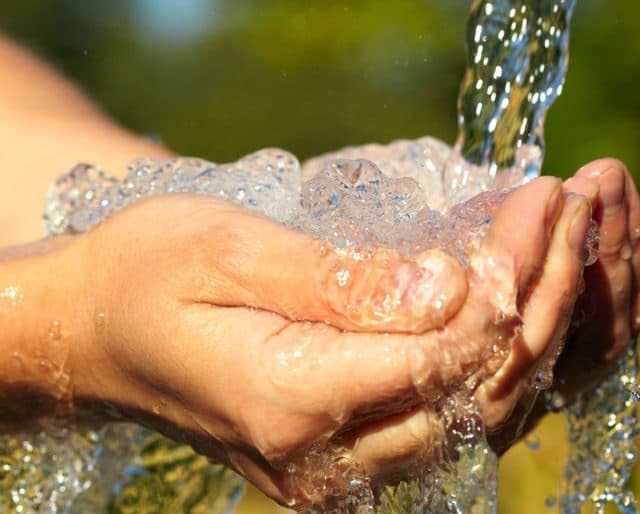 You could focus on simply raising awareness about any number of the water related issues we face, or you could even collect donations for areas with extreme need. An estimated 780 million people live without clean, accessible drinking water. Drinking contaminated water can lead to a host of life threatening diseases. This may seem like a third world problem, but Flint, Michigan showed us that water problems even plague the United States. It’s not only humans that require access to clean water. Every year, countless animals die as a result of water pollution. Pollution can occur in many ways, from physical litter to wastewater and chemicals runoff, which causes the water to become toxic to the animals that depend on it for drinking and habitation. World Water Day has a yearly theme, such as "Nature for Water," which is dedicated to finding natural solutions to our water crises. Many of the environmental problems we are coping with are intertwined — climate change and ecosystem degradation are related to, and sometimes direct causes, of water pollution, floods, and droughts.